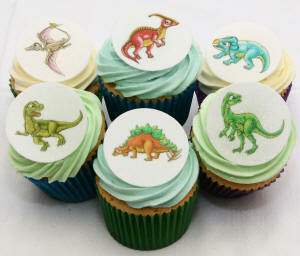 A very popular kit to decorate brilliant dinosaur cupcakes- can your child eat a whole dinosaur? 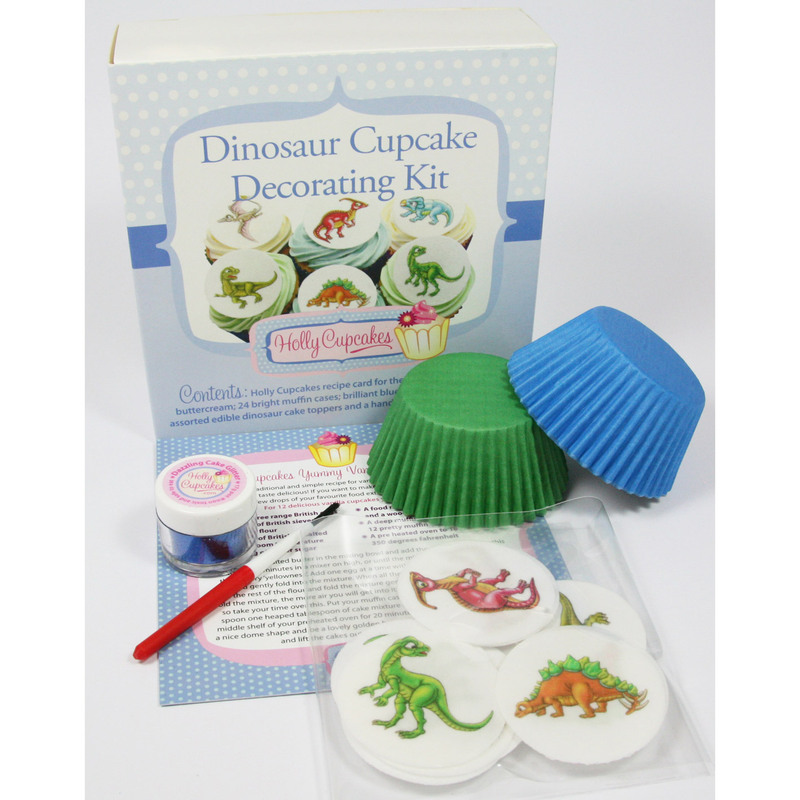 Contains a Holly Cupcakes recipe card for the perfect cupcakes and buttercream; 24 assorted muffin cases; brilliant blue cake glitter; 12 assorted edible dinosaur cake toppers and a handy brush to apply the glitter. The kit is beautifully packaged in a fully colour printed box and makes a perfect gift.